Up until about ten years ago, scientists thought they had a pretty good picture of how the moon and Earth came to co-exist. Then more precise measurements blew it all wide open, and scientists are still struggling to reconcile them. As part of that effort, a team including UChicago cosmochemist Nicolas Dauphas performed the largest study to date of oxygen isotopes in lunar rocks, and found a small but measurable difference in the makeup of the moon and Earth. Published March 28 in Science Advances, the research proposes that Earth acquired the majority of its water during the main stage of its growth–which counters a popular theory. The most widely accepted theory of the origin of the Moon speculates that a giant object smashed into the proto-Earth at just enough velocity that part of both bodies broke off and formed the moon. The Earth has a little of the moon and the moon has more of the Earth, but they'd be mostly different objects. Early measurements–many taken by the late UChicago geochemist Robert Clayton–did not have sufficient precision to tell the Moon and Earth apart. But in the last decade, Dauphas said, it became clear this picture wasn't quite right. Elements can come in different forms, called isotopes, and these give scientists clues to the rock's origin. As ways to measure isotopes improved, scientists discovered striking similarities between the moon and the Earth. Referred to as the "lunar isotopic crisis," this was a problem for the main theory of lunar formation, because it's highly unlikely the isotopes would be exactly the same for two random objects in the solar system. "This, to my mind, is one of the most compelling questions in modern planetary science," said Dauphas, head of the Origins Laboratory and professor in the Department of Geophysical Sciences and the Enrico Fermi Institute. "Right now it's completely open. It's amazing to still be asking this." One theory to explain the matching isotopes was a scenario in which the proto-Earth was totally vaporized by one or more giant impacts, and both it and the moon formed out of the cloud. But one of the major uncertainties is that scientists have reached different conclusions about how different the oxygen isotopes are between lunar and terrestrial rocks. Seeking to clarify the issue, the researchers measured the oxygen isotopes of both lunar and terrestrial rocks with extremely high precision. They found a very small, but detectable difference between the isotopes between the two bodies. But if most of Earth's water was delivered via later meteorites, this would have shown up as a greater isotopic difference than what the researchers measured–as water-bearing meteorites have unusual mixtures of oxygen isotopes. 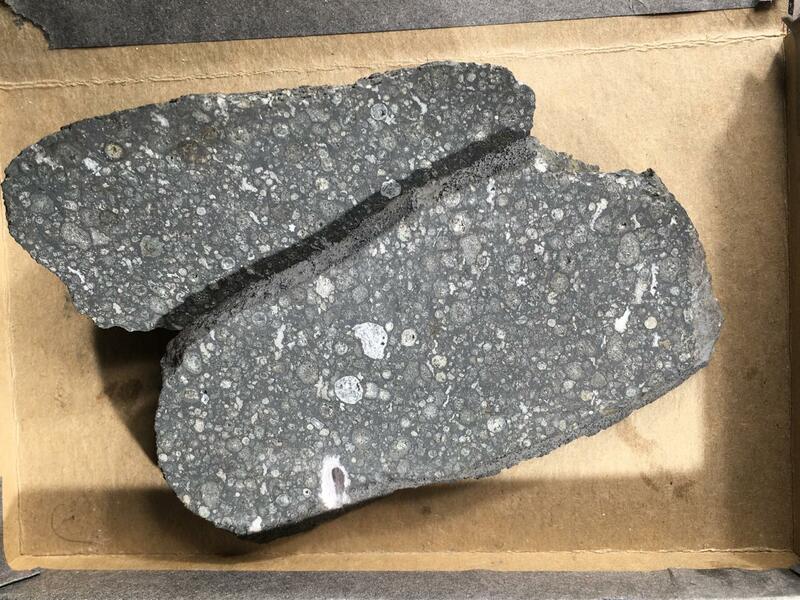 Their model suggests that only 5 percent to 30 percent of all the water on Earth would have arrived on meteorites after the great impact. Dauphas noted the picture is still evolving because depending on which element you measure, differences between the moon and Earth could be found. "Oxygen, titanium, tungsten–these are the ones that are still keeping us up at night," he said. The question of how planets acquire water is interesting for a number of reasons, Dauphas said, including the search for distant exoplanets that might have water–and thus a similar kind of life. Richard Greenwood with the UK's Open University led the study. Other coauthors hailed from the British Antarctic Survey, London's Natural History, the Museum University of Western Brittany and the Center for Research in Economics and Statistics in France.